Powered sites located near laundry, amenities building, camp kitchen and common area. Ensuite sites have private shower, toilet room. 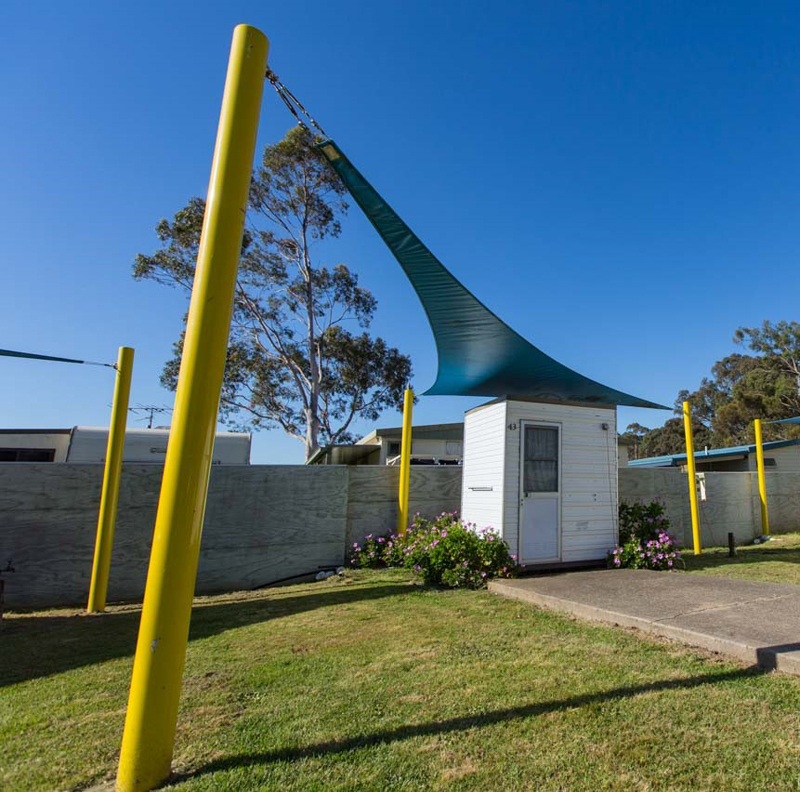 Ensuite sites have shade sail over site.